This is at our Bellingham Bedtime Stories event (sponsored by the fabulous Village Books). 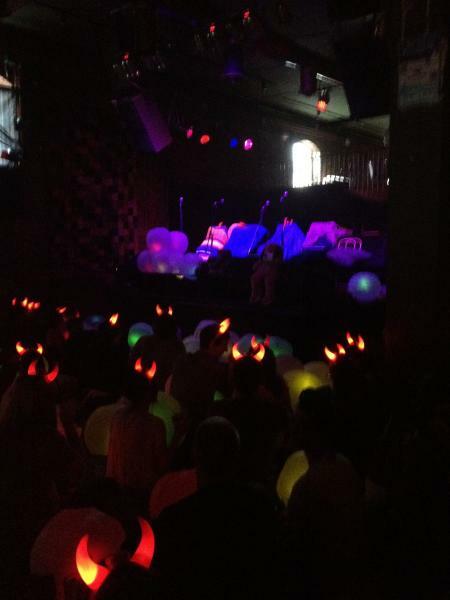 Chuck Palahniuk, Monica Drake, Tyler Hughes, brought the awesome, and the glow-y beach balls. All those little red triangles are devil horns. We gave away 200 hundred of them. The next day we were driving through town and saw a homeless man wearing a pair.